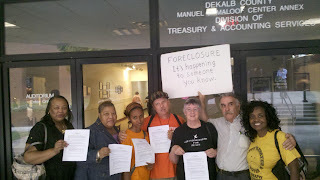 This past Tuesday Chris Frazer and community allies introduced a proposal that would not only make 3am evictions illegal in DeKalb County, it would also force more accountability on banks and investors to ensure the safety and dignity of folks facing eviction. Know one know's the issue of inhumane eviction like Chris Frazer, who had her home raided by 40 armed DeKalb County deputies at 3am earlier this year. The Sheriff came with animal control for her pets, but had no where for her, her 86 year old mother, and 3 year old son to go. Chris is committed to fight against this inhumane behavior until it no longer a legal option for law enforcement to disregard basic decency. We would like to encourage you to call Commissioner Larry Johnson( 404 371-2425) and Commissioner Stan Watson ( 404-371-3681) and encourage them to pass this simple resolution. The people of Dekalb County are facing a depression era housing crisis. Sadly, there is a need to protect citizens from unscrupulous behavior with regard to evictions. This effort is designed to prevent landlords from placing tenants in harm’s way by evicting them at hours when they would be unable to obtain a means of securing their belongings after the eviction or obtaining permanent and/or temporary housing due to the hours of eviction. This proposal would make it illegal to evict a tenant between the hours of 5:00PM and 9:00AM. We also propose that landlords must meet the following basic criteria when moving forward with an eviction. 1. The landlord must have an order of eviction from the appropriate court. 2. The landlord must have a permit issued by a designated agency and/or court within Dekalb County. The landlord would be responsible for the cost, if any, of obtaining such a permit. 3. There must be a certified law enforcement officer present during such eviction, the costs of which are the responsibility of the landlord. The name of the officer and their certification must accompany the permit application. a. Provide a pre-paid storage facility capable of holding furniture for the number of rooms at the residence where the eviction is to occur. In other words, if the residence is a 3 bedroom, the storage facility will be capable of securing a 3 bedroom residence. The storage facility will be within 5 miles of the residence where the eviction is taking place. b. Provide a pre-paid moving truck capable of moving the contents of the residence in one trip. c. Provide at minimum a prepaid 3 star hotel room for a period of not less than 36 hours. These measures shouldn’t be considered radical notions, as they are already points of policy for other parts of the country. ATL Youth Building Skills With SCAP! 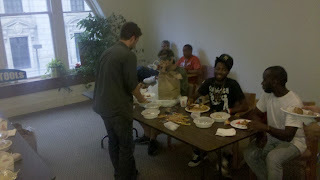 This past Sunday, AFSC's Student Career Alternatives Program hosted a “Movie Making Day” for youth. Thanks to WonderRoot for the donation of their space and editing lab, students flexed their creative muscle in storytelling through video. Those in attendance learned filmic storytelling from start to finish as they explored writing, recording, interviewing, and editing. Each student personally interviewed, recorded, and edited a story that was uniquely their own. Whilst each story varied in tone, the general motif became a summers gone by as the four reminisced of adventures from a year or so past. While the students learned a new camera, program, and medium, they more importantly learned a new way of expression and a voice that has existed in them ever-presently. 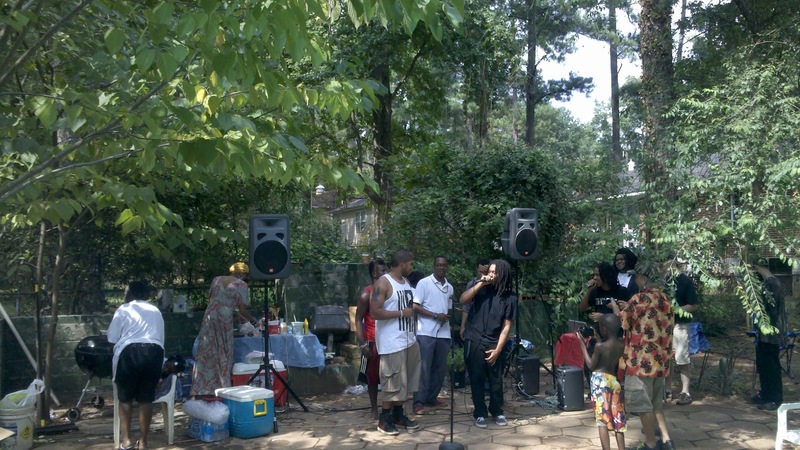 Occupy The Hood Atlanta is doing some of the most inspiring work in the most impoverished pockets of our city. Today they hosted community event at the Chappell Forest apartment complex in Southwest Atlanta where clothing, food, and back to school where given away. They also hosted a number of political education and community empowerment workshops. AFSC's Student Career Alternatives Program was on hand to provide some school supplies, including our "It's My Life" books, designed to help high school students explore creative post highschool career options. We also gave out dozens of our, "Beofre You Enlist" DVD's, which interview combat vets who were recruited out of low income high schools with the promise of opportunity. The DVD's really challenge the notion that the military is there to help young people. Big, Big ups to Occupy The Hood for really stepping up for those hardest hit by the economic crisis in a way we haven't seen in years. 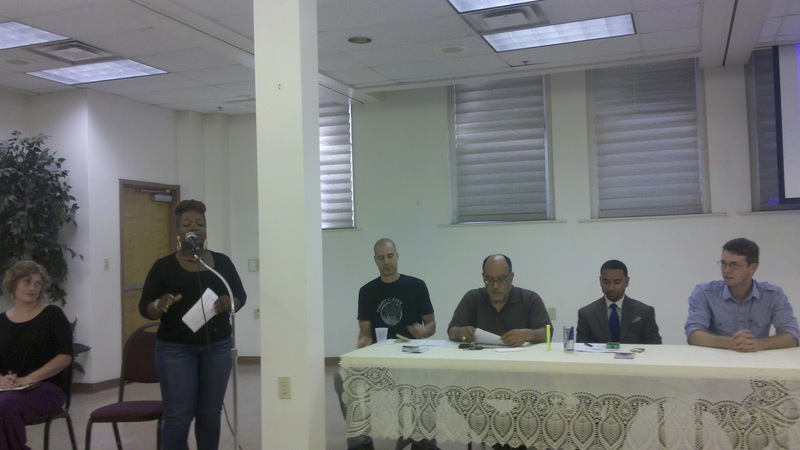 We're excited to engage with the dynamic organizers of Occupy The Hood moving forward. 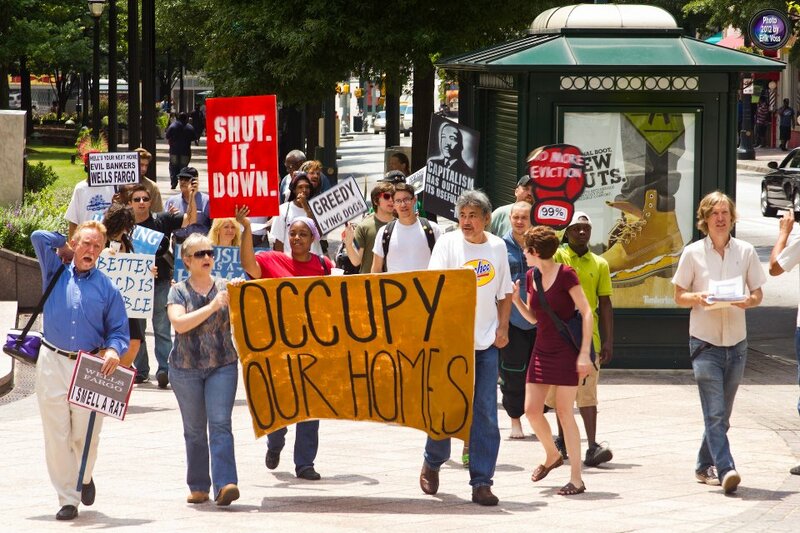 Occupy Our Homes Atlanta has been successfully defending families and churches from eviction and foreclosure, but we realize that we need a movement on a scale that brings relief to not just a few people, but to everyone. 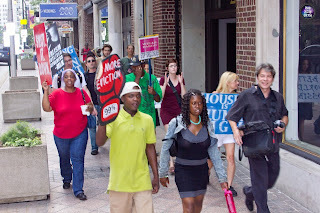 Today at a Town Hall meeting organized by Occupy Our Homes ATL residents in distress and community leaders launched a campaign against what has emerged as the two greatest obstacles to mass principle reduction and community control of land in our communities--Fannie Mae & Freddie Mac. Residents came from all over the metro area to share their stories, get inspired by others who have stood up to the banks, and learn the role Frannie Mae and Freddie Mac play in the housing crisis. The fact is the Fannie and Freddy own upwards of 60% of every mortgage in the Country. Many are unaware that, for the most part, the big banks are simply servicers of these loans. So Frannie and Freddy can keep up the appearance of being helpful towards home owners in distress while foreclosing and eviction whole neighborhoods at the same time. Frannie and Freddie(F&F) director Edward DeMarco was recently given the opportunity to give an across the board principle reduction to F&F homeowners. Despite receiving very strong pressure from President Obama and the less than progressive Timothy Giethner, DeMarco has refused to reduce principle for anyone struggling, which ensures that the hardest hit communities will remain under hostage by the financial institutions that crashed the economy. It get's worse ya'll. Freddie and Frannie have been reluctant to sell any of the tens and thousands of vacant homes they've been sitting on to regular people. They will however sell to Hedge Funds and Wealthy investors at twenty cents on the dollar. That means that regular folks, who are struggling more then ever, are getting pushed out of their homes because they can't afford the inflated prices their under the lash of. Once they're evicted the home is boarded up, creating another depressing crime magnet in the neighborhood, and the super rich are invited to purchase the home for a price that the struggling homeowner could have potentially easily paid. Feel free to forward the event, we need to break the culture of shame and silence in the South and begin to direct the shame in the correct direction, the very institutions that not only caused the economic crisis, they continue to profit of the broken dreams of others. American Friends Service Committee is proud to be a part of this effort, providing key infrastructure, access to training, and other resources. 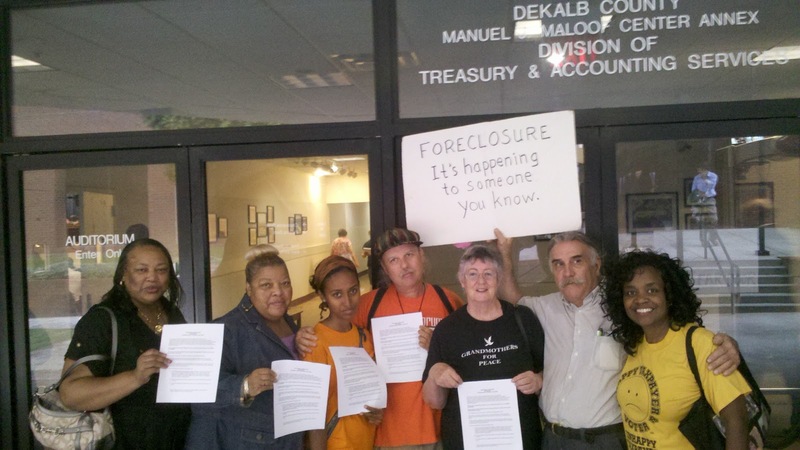 Since November of last year a growing number of metro Atlantans have been resisting the banks foreclosure and evictions and in many cases winning! Tonight we created the space to not only celebrate those that have found victory in their personal struggle, we also honored those that are currently in the struggle for their housing. It's important to make time to enjoy each others company, share a meal, share our stories, and reflect on the work. That's what tonight's dinner was about. I was personally moved by all of the stories shared tonight, and I think we were all inspired to be more fearless, more vulnerable, more real with each other and the world around us. Big Thanks to Higher Ground Empowerment Center for hosting this evening. This evening around twenty volunteers staffed the phones as over 14,000 calls were made to underwater home owners in the metro Atlanta area in an effort to bring folks together for a town hall meeting to address Atlanta's historic housing crisis. The robo calls were set up courtesy of the Home Defenders League, which is supporting grass roots efforts around housing justice all over the country. After two hours of hard work staffing the phones volunteers took a break to enjoy dinner together and debrief on the experience talking to so many who are silently struggling with loosing their home. 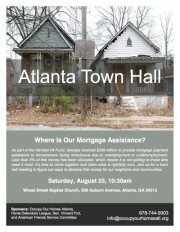 American Friends Service Committee is excited to sponsor the town hall along with Senator Vincent Fort and Occupy Our Homes ATL. Georgia continues to be battered by the foreclosure crisis, consistently rated as one of the most affected states. Despite this fact, there seems to be little to no relief for the people who are struggling the most. From Governor Nathan Deal's remarks that responsible homeowners don't need assistance, to Edward DeMarco's recent statement against principle reduction to prevent intentional default, it is clear that our politicians are out of touch and unwilling to do what it takes to help solve the problem. In 2010, the federal government designated billions of dollars to be used to help homeowners in states like Georgia, called the "Hardest Hit Funds." To date, that money is not being used to help those who need it most. It's time we stop waiting for this help to come around, and start coming together to demand it. 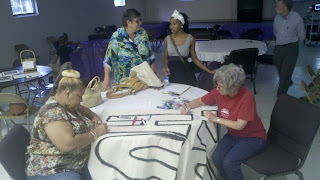 At the Townhall event on Saturday, we'll figure out ways to do just that. 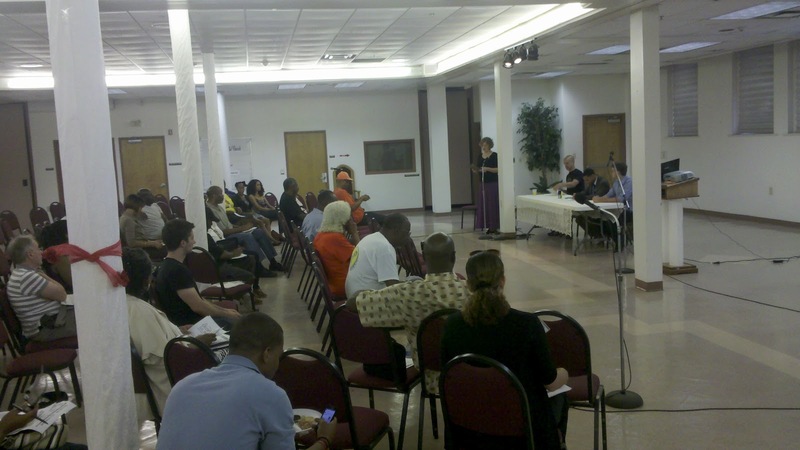 Engage in door to door and phone community outreach with the goal of building the housing justice movement and informing residents in housing struggle of what their options are. 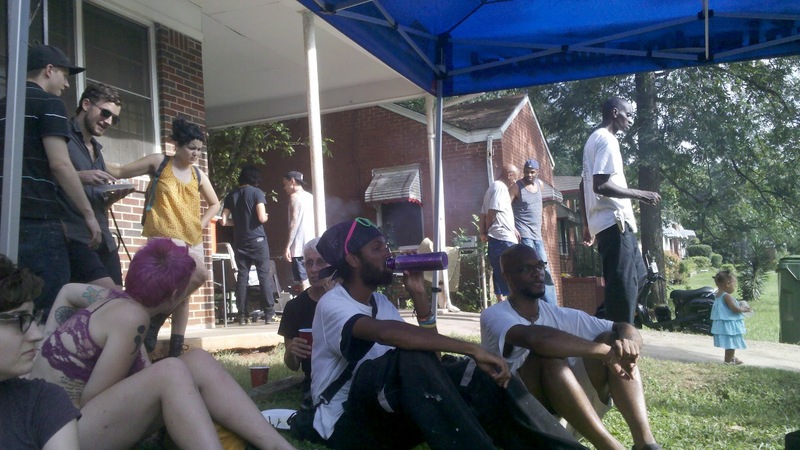 Canvassers must establish regular goals in an effort to enhance the number of Atlanta residents engaged in the housing justice movement towards transformative demands. Be able to understand AFSC’s role in the housing justice movement and be current and up to date on the national housing crisis and its local implications. We would like 1-2 stories written about your experience as an intern for our Atlanta blog. 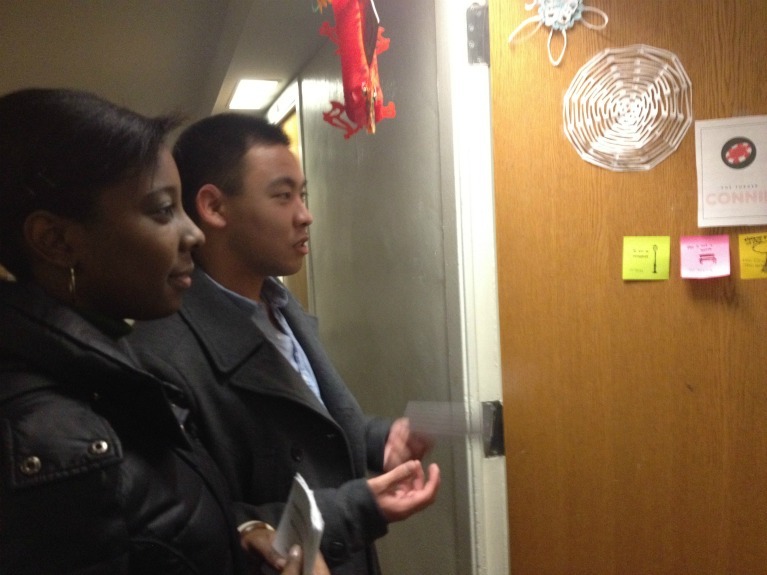 Canvassers must have strong written and verbal communication skills as well as interpersonal communication skills. They also must remain organized and accurate when recording their canvassing activities or maintaining their canvassing materials. Canvassers always must maintain a positive, personable, outgoing and enthusiastic attitude. These individuals must be professional and neat as well as self-directed and able to work well in a team. They might have to do a lot of traveling, locally, and should have basic map-reading skills when working door to door. Canvassers must be prepared to work in all types of weather, which might include hot days, rain or wind. They also must be able to complete light physical activities such as standing or walking for long periods of time, along with kneeling, pushing, pulling or regularly bending and twisting the body. 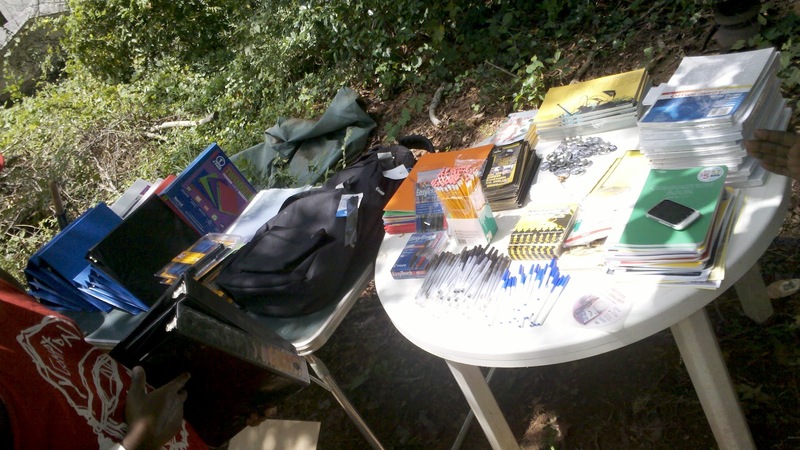 Canvassers additionally should be prepared to carry materials that might weigh up to 25 pounds. The position is a very short term position that would start Wednesday August 29th and wrap up September and wrap up Wednesday October 3rd, unless alternative funding was identified to extend the internship. There would be an expectation to work a minimum of 10 hours per week and no more then 20 hours. The stipend would pay $100 per week. 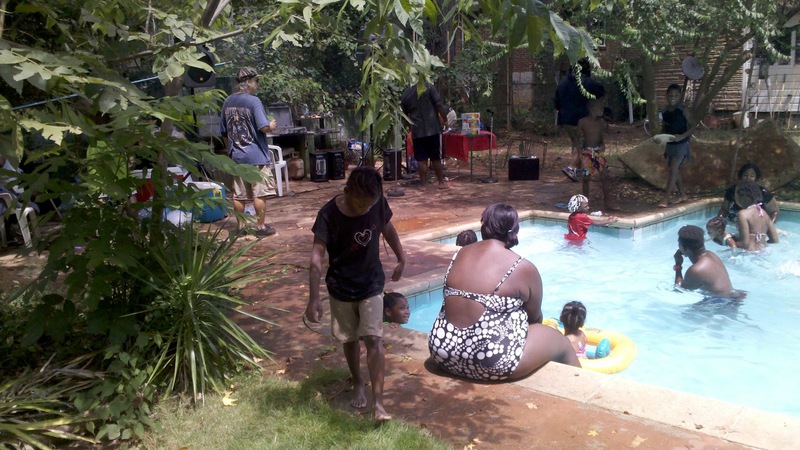 This past Saturday one of AFSC's projects, Student Career Alternatives Program, hosted a back to schools pool party for youth k-12. 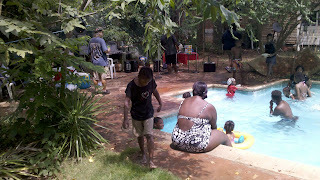 While there was plenty of food, a pool beat the heat, and steady flow of live hip hop, this party was more then just a good time. 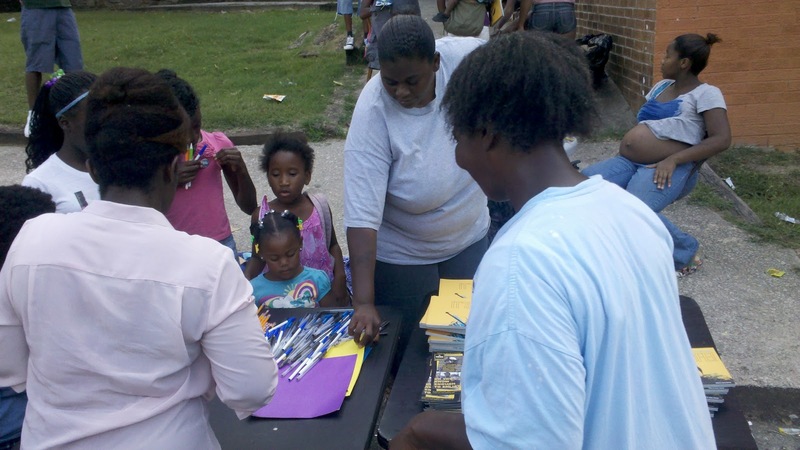 As the school year begins we wanted to create space where young people could not only receive all the school supplies they needed but also explore some of the deeper challenges they are likely to face this school year. For the young ones the focus was how to treat ourselves and each other, how to love ourselves, and how to stand up for ourselves. For the older students we explored how to identify systems of violence and oppression in the school system, from military recruiters, drug and gang violence, to underfunded schools in struggling neighborhoods. Every middle and high schools student got a copy of AFSC's, "It's My Life" guide to cool alternative post high school career resources and a DVD of "Before You Enlist", which focuses on feedback from youth recruits returning from Iraq and Afghanistan giving the real deal on military recruitment. Some of us forget how hard it is to be young sometimes. We forget how much pressure we can feel to get on some sort of post high school path. In lower income communities, this pressure can be pretty intense. The options that are overwhelmingly pushed on students are college, the military, a very low wage job(which isn't easy to get these days), or selling drugs and robbing folks. It shouldn't surprise folks that the more resources someone has, the better their outcome tend to be. The sad truth is that our society continues to pour resources into pockets, playgrounds, and schools of folks that are already have too much at the expense of everyone else. Military recruitment is a prime example pf America's crisis in economic priority. Low and middle income youth are targeted for recruitment into a military that continues, year after year, to fight unpopular wars the make the super rich richer at the cost of human lives and tax payer dollars. All in all the pool party was a success, everyone smile and laughed, most importantly everyone left with something important that they didn't have before. We've gained enough support to push my dispossessory hearing to August 31st. While I'm encouraged that I will not be evicted this week, I know we are still far from a solution that will keep me in my home permanently. 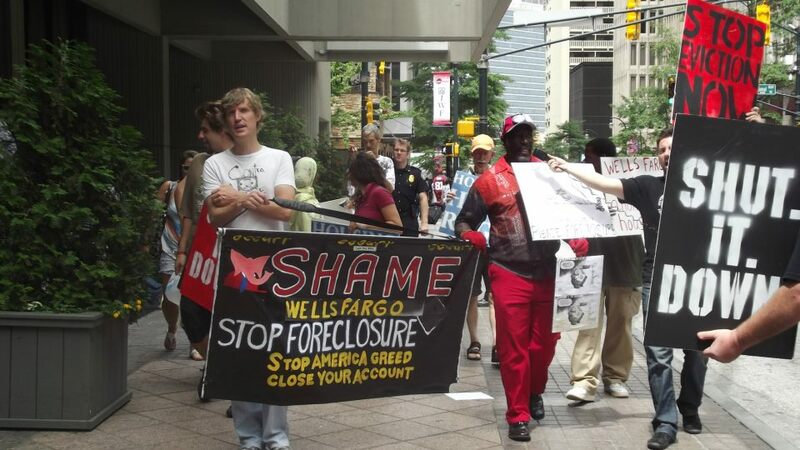 Wells Fargo is still refusing to rescind the foreclosure, so there is no time to lose. This is an important week in my campaign. Can you help me win a victory for the 99%? 1. Call Mike Heid: Please call Mike Heid, President of Wells Fargo Home Mortgage, at (515) 213-6117 and demand that he make a deal to keep me in my home. 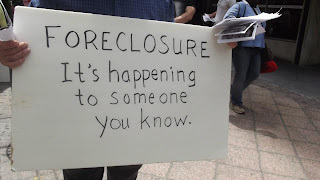 Here's what you can say:"Rescind the foreclosure and work out a deal to keep Edmond Steve Boudreaux (Loan #00006391834) in his home. Accept his payments instead of leaving another empty house in our communities." Report your results here. 2. 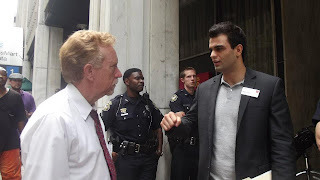 Share the petition: I delivered the petition this past Friday, but I'm still hoping to pass 2,000 signatures this week, can you help? 3. 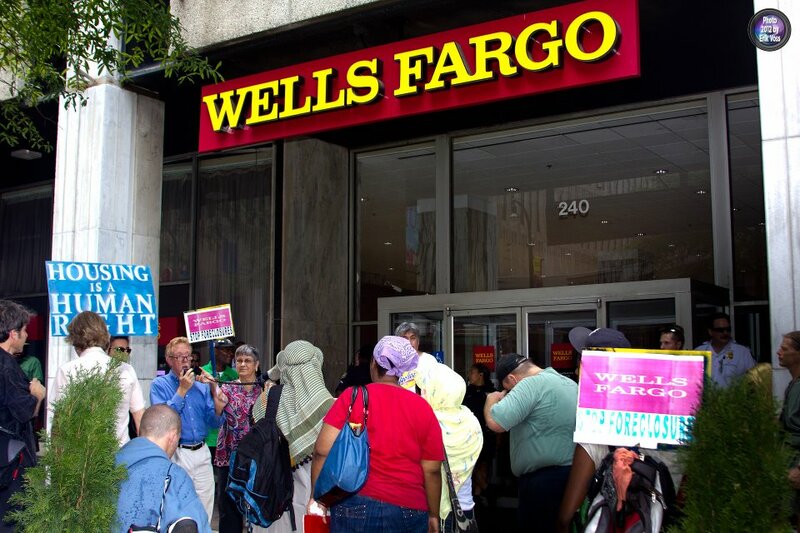 Plan a solidarity action: For the past month we've been organizing small flash demonstrations outside of Wells Fargo Branchs. We hope that you will add to our numbers by either joining us or by visiting branches in your hometowns. You can go by yourself or get a small contingent together to deliver this letter to tellers and branch managers. 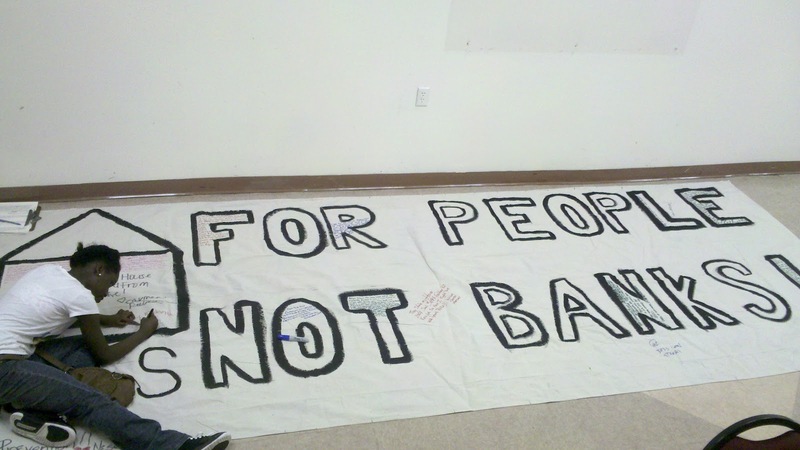 If you can take it a step further, organize a rally at a local branch. I look forward to reporting back on our progress! We moved into our home in March of 2007. At the time of the signing I thought my realtor was my friend and had my best interests at heart. That ended up not being the case. Since I closed on the house, I've been paying for repairs to keep it livable. Being disabled and on a fixed income it was very hard to do repairs and pay the mortgage on time. Until August 2011 I was working a part time job in order to keep up with mortgage payments. My hours were cut, and it suddenly wasn't enough to pay the mortgage. Then, to make matters worse, my grandmother became very ill and was unable to be left by herself anymore. I gave up my part time job to watch over my 96 year old grandmother. I tried to get another job at home, but was not qualified or didn't have enough to pay a starting fee. It was hard for me to get another job because of my disability. The loan officer then told me he would send a package out to me so I could detail my financial status in order to see if I qualified for any programs. I filled it out with all required information and documentation and sent it back to State Home Mortgage. They conveniently lost my package. When I confronted them about it two months later and provided them with a copy of the package they sent me it only took them two days to let me know I didn't qualify for any programs. I was referred to the NARRI Housing Program, where I was told I'd get help getting a Making Homes Affordable Loan Modification. I paid NARRI $1000 and signed paperwork. They said they would do the rest. 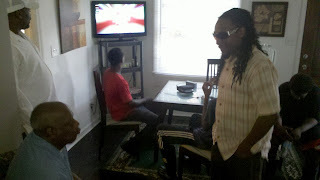 I started with them in January of 2012 and it took until May 2012 for me to get my $1000 denial letter from NARRI. Soon after my second, and more expensive, denial State Home Mortgage sent me a letter saying they were going to foreclose and sell the home. 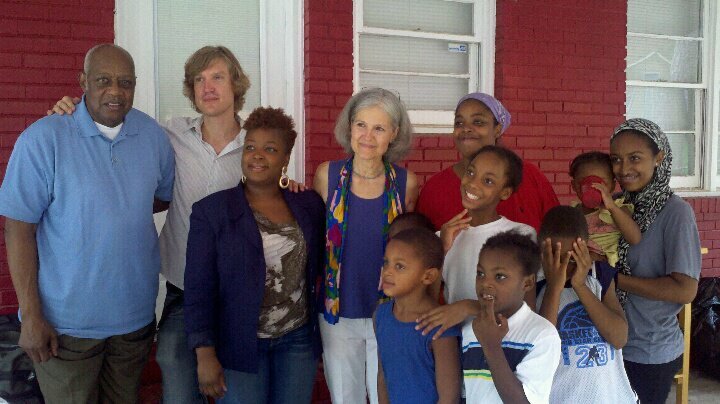 They told me to get in touch with HUD and see if they would allow me to stay for a few weeks. HUD told me that I had 20 days to solve the issue or I would be asked to move before the home was sold. As the 20 days were coming to a close I went to congressman David Scott's Homeowner Relief event that was set up to help people save their homes. These events typically bring together loan servicers from across the region. State Home Mortgage was not present so I spoke to a HUD representative. We spoke at length about my housing situation and the HUD representative said she’d call me back after doing some investigation. I responded, “And say what, that my ill 96 year old grandmother and I are homeless because I had the heart to tend to a loved one? Why would I call them?” I was so hurt. I was hurt because I think about all I have done to make the house livable. I had to put in a new air conditioner unit, because the old one was broken. The utility bills were very high, especially during the summer time. The hot water heater had to be replaced and brought up to code, it went out and flooded a bedroom and the garage. It was not enough damage for the home insurance to cover so I had to pay. The shower in master bedroom started leaking, developed mold, up and downstairs. I had to re-carpet upstairs, replace both sinks and faucets due to leaks. Fix the dishwasher and replace garbage disposal because it was draining into the other side of the sink. The refrigerator stopped working and I had to replace it. I had the house insulated, doors fixed and had a room removed from downstairs that was covered with mold and mildew. I have spent so much money on this house and it is just heartbreaking to know they insist on not lowering my monthly payment or interest rate. State Home Mortgage insists on kicking my grandmother and I out of our home. If my grandmother is forced to move, it will cause her already fragile situation to get even worse. I pray that a solution to this problem is found soon. I was able to delay the foreclosure auction from August to October, but the mortgage companies prefer to sell their house for little or nothing to actually working with their customers. It was not my choice to become disabled. But because I am my income has suffered. It was not my grandmother’s choice to fall ill with cancer. But because she did her life has suffered. My letter is very long, but I needed to talk about it. Today the Edgewood neighborhood was declared an eviction free zone by community members and several organizations doing work around housing issue. What prompted this declaration, besides being under the lash of a historic housing crisis, was particularly cruel eviction that came with no warning at all. Around 8:30 AM on Friday August 3rd Sherrye Calhoun woke up to Sheriff’s Deputies knocking on her door. They demanded that she leave her home immediately. Over the course of the morning Sheriff Thomas Brown’s deputies supervised her eviction. They had no warrant or writ of possession. She has lived in the home for 30 years. 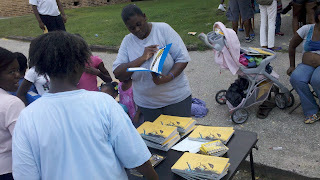 Within hours, Ms. Calhoun’s possessions were moved back into her house with the help of Edgewood residents and supporters. She is currently still residing in that house, determined to resist eviction should it again be attempted. That evening, Edgewood residents formed a group, Eviction Free Edgewood (EFE), determined to resist eviction of Edgewood residents. 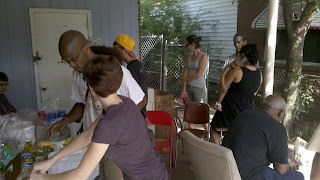 On Sunday, EFE, with Ms. Calhoun, hosted a barbeque to build community resistance. 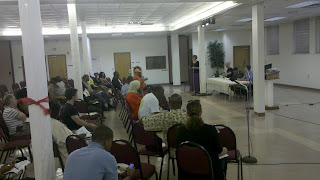 About 100 people were in attendance throughout the day. 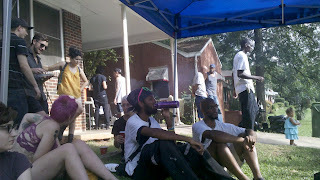 Today Sherrye hosted an eviction free cookout that ended up packing her yard with folks that committed to stand with Sherrye should any more crimes (by Sheriff Browns deputies) be committed against her. Join us at 11:00AM on Monday August 6th at Sherrye’s home, 39 Aberdeen Street Atlanta, GA 30307 to hear Sherrye tell her story alongside neighbors and community members deeply concerned by this eviction, and other housing issues in their community. 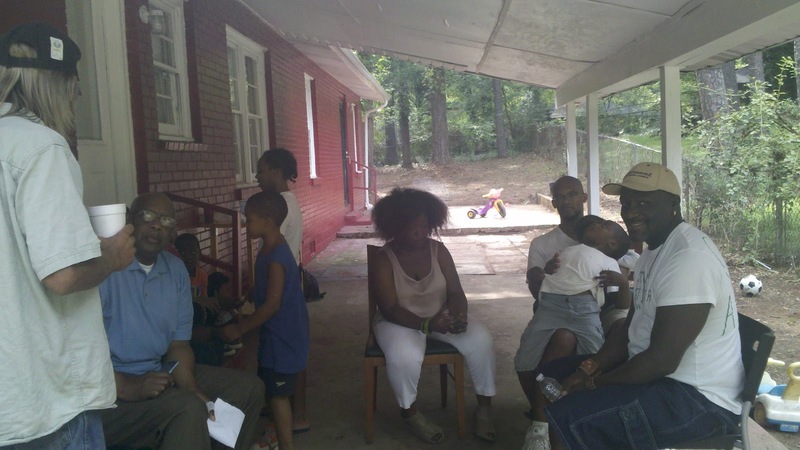 Last week Tacco Cullens and her 11 children moved into a southwest Atlanta home with running water, working electricity, and plenty of space. She and her family now have time and space to think about things other than imminent homelessness. 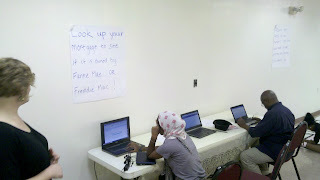 Some of the older children are focused on finding jobs, or better jobs, and returning to school. Tacco is looking into starting a daycare. 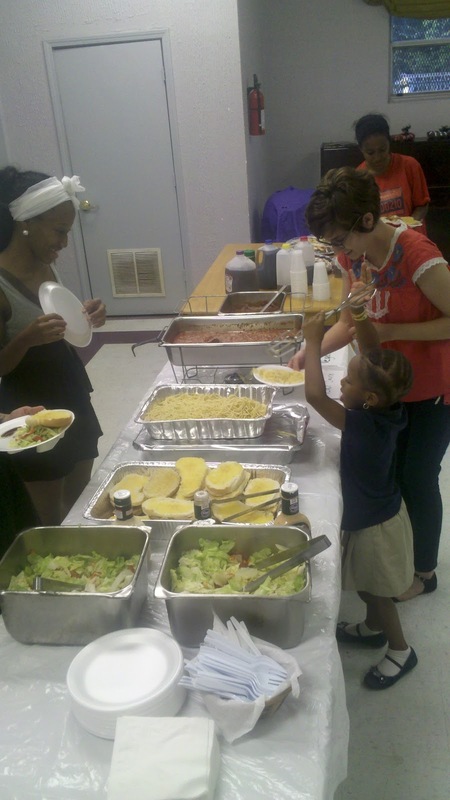 To celebrate their housing victory and get more people involved with Occupy Our Homes ATL, Tacco and her family hosted a cookout yesterday. 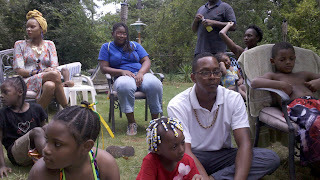 Lot's of folks came out and the vibe was great. 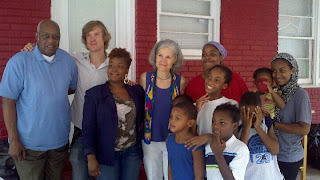 Tacco was surprised by one of the unexpected guests, Green Party presidential candidate Jill Stein came by and met the family and congratulated Tacco. As almost all the children get ready to start school Tacco's next challenge is finding steady work that fits into her busy life as a mother. Tacco is also excited about working on her memoirs, which she has already completed over 30 pages of. AFSC plans to stay involved, working with the children to explore post high school career paths and other opportunities. Despite, or perhaps because of, Wells Fargo’s cavalier and callous actions towards someone taking extraordinary measures to comply with the bank’s demands and stay in his home, Steve Boudreaux is refusing to give up his home to the bank. 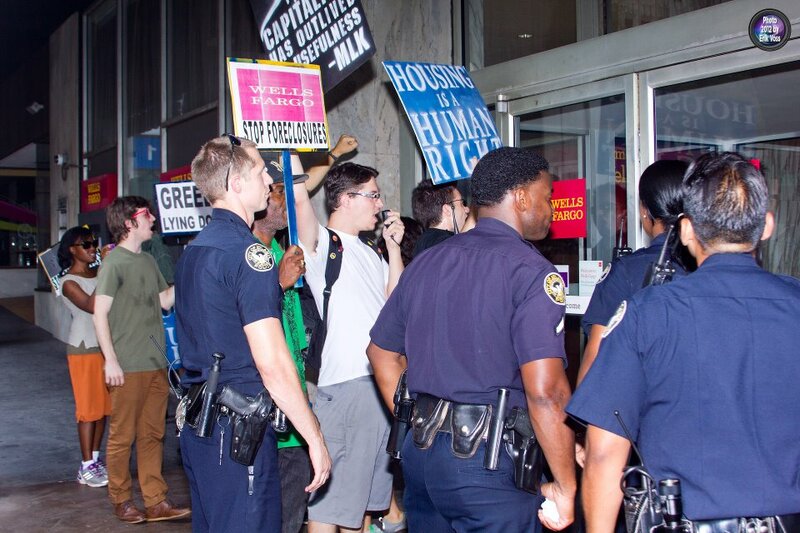 He has been occupying his home despite the recent commencement of eviction proceedings and taking a stand, the first of its kind in Cobb County, GA, for what is right and just. He is fighting for rescinding the foreclosure sale and a halt to the eviction proceedings. While Georgia recorded the highest number of foreclosures in the country recently, Steve claims that many homeowners in his area are ashamed to admit they are going through the same thing. “I look forward to breaking the cycle of silence that keeps so many Cobb residents from standing up to the banks and defending their homes,” he said when asked about his decision to take his fight public. 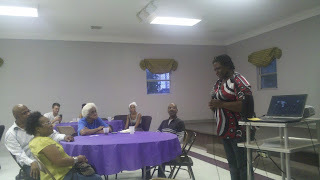 Steve, who is now employed and getting back on his feet, needs your help to fight this unjust foreclosure eviction. 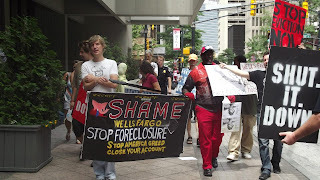 Just ten days ago after a day of phone calls and emails to Wells Fargo big wigs Adam Lawmen, a Wells Fargo representative, committed to work on rescinding Steve’s foreclosure and moving forward with a modification. 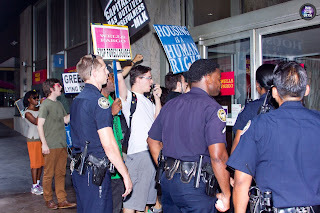 As of yesterday Wells Fargo refused to rescind Steve's foreclosure, which means they are willing to stand by and watch him get kicked out of his home. So we decided to head over to a Wells Fargo branch and give them a taste of some shame therapy. 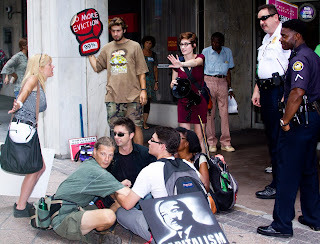 While several of us met with the branch manager and demanded he contact his higher ups to resolve the matter, over a dozen people participated in a direct action training right outside the bank. The bank manager agreed to follow up with us and Steve on the matter. Ultimately we know it’s not his call, nor can any of the workers have a real say in whether a foreclosure eviction goes down. 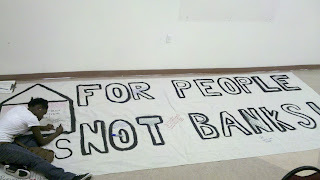 Our message was to the higher ups at Wells Fargo. 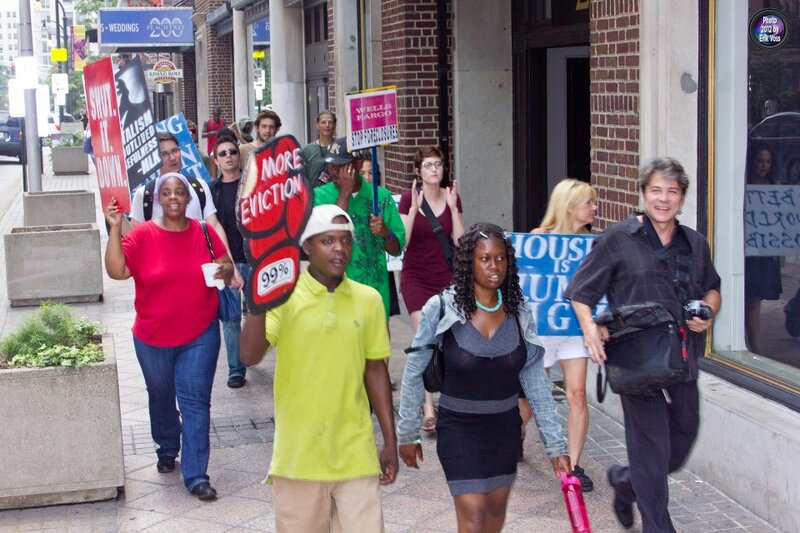 We will no longer allow foreclosures and evictions to go down in our communities without a fight. We simply can’t afford another boarded up house while so many need a roof over their heads. If financial institutions and our government can’t figure out a way to truly address the housing crisis then it’s up to regular everyday people to enact our own measures, it’s up to us to fight for our neighborhood.